The new initiative will provide work experience opportunities for young people. The event took place at Arnold Clark's head office. An event was held at Arnold Clark’s Hillington head office this week to launch the Sir Arnold Clark Summer Camp Fund with Radio Clyde Cash for Kids, with a number of youth groups in attendance to find out how they could benefit. The fund will provide opportunities for young people living in Glasgow and the West of Scotland to have a life-enhancing and memorable experience during the summer holiday period. The Cash for Kids Summer Camp is open to applications from all community groups working with children and young people aged up to 16 years old and located within the West of Scotland. Community groups working with children between the ages of 12 and 15 will also have the opportunity of winning £5,000 for their project and a valuable work experience placement for ten young people at Arnold Clark’s head office. 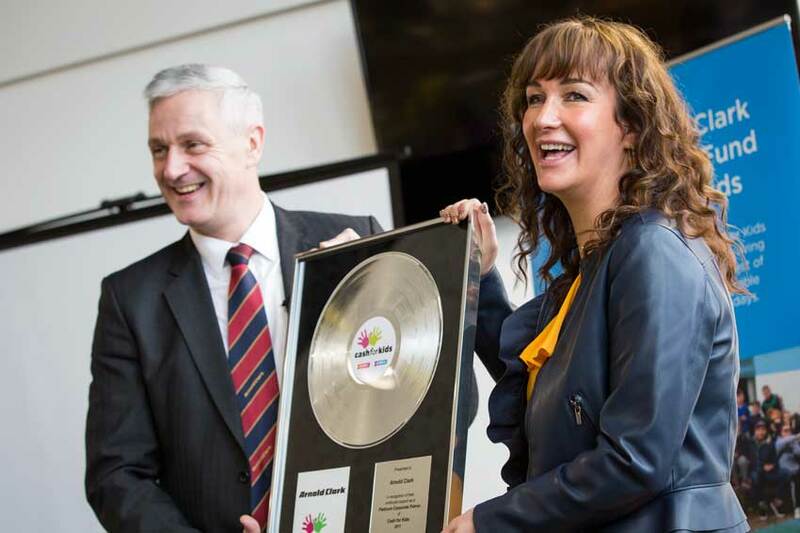 Arnold Clark was the first organisation to win a platinum award from Radio Clyde Cash for Kids in recognition of its generous support of vulnerable children. In recognition of their continuing work, Radio Clyde’s Gina McKie presented Eddie Hawthorne with another platinum award. Applications to The Sir Arnold Clark Summer Camp Fund are open until 1st June 2018. You can find more details as well as terms and conditions on the Radio Clyde Cash for Kids website.